In-Tuned™ Sound Project offers therapeutic quality listening in a collection of Soundscapes. Each Soundscape takes the listener on a unique journey to build brain connectivity. In-Tuned™ Sound Project is meant for children with Sensory Processing Disorder or sensory challenges as part of another brain-based disorder, such as autism, ADHD, learning disabilities, mood disorders etc, and adults who have communication, social, mood or attention issues. Listening to audio-engineered sound/music helps to build and support the tonotopic map in the brain in order for the brain to discriminate all frequencies of sound. A rich pallet of frequency discrimination is important for building awareness, self-regulation, attention, mood stability, language and learning. Listening has positive motor effects, such as postural improvement, more efficient visual tracking, increased electrical conduction of the skin (circulation) and improved fine motor performance. Auditory (sound) and tactile (touch) hypersensitivity can also be drastically reduced or eliminated through therapeutic listening. Each Soundscape includes 5 twenty-minute sound tracks all in different frequencies. The frequencies in each Soundscape belong to a specific classification of atmospheric and musical sound. For instance, the base frequency, which the composer and I refer to as the “sound medicine”, will stay true to a particular frequency (low, medium or high), but have sound at other frequencies gently weaving in and out. Low frequency is 0 to 40 Hz, medium frequency 40 to 5000 Hz and high frequency 5000 to 15000 Hz. The base frequencies used in our Soundscapes adhere to Pythagorean principles of the most harmonic numbers found in nature and have been carefully selected by our team. Although the sound medicine is highlighting one particular frequency, there will be some of the benefits of the other frequencies as well. Rule of thumb: start low and go high. Starting at too high a frequency is like running before crawling. Crawl first and build the skills needed to run. It’s best to gradually increase the frequency when positive changes are seen in skills and behavior. Everyone is neuro-unique and what may be true for one is not necessarily true for the next. You may have to experiment with different frequencies to see what is tolerable, enjoyable and beneficial. Results do vary. Low frequency and high frequency sound have the most impact on human brain activity. Low frequency is nurturing and creates a calm, but alert state. High frequency stimulates the most cerebral activity, learning and thinking. Sound in the medium frequency range is the most comfortable to listen to and is what most instruments are tuned to. In-Tuned™ Sound Project was engineered for listening with closed headphones, not ear buds. 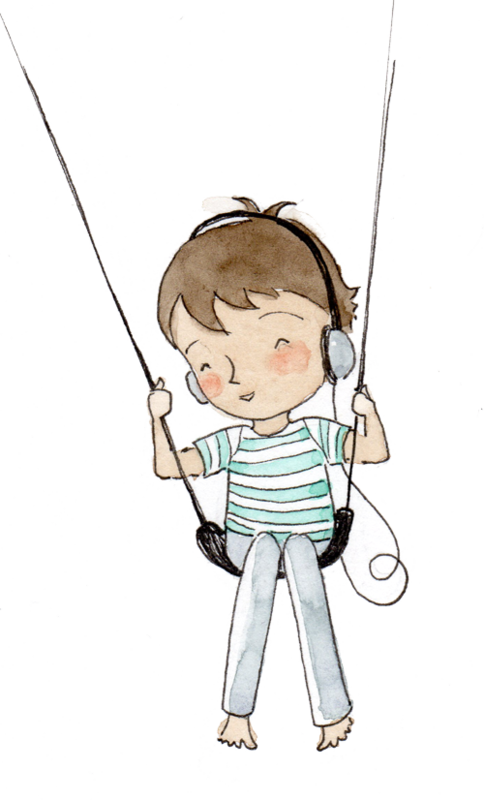 Most of the Soundscapes are not for open air listening, but we are working on more open air tracks to be played as background while performing activity, settling for bed, doing homework and so on, but our therapeutic program is best done with a closed headset. Sea Cave Adventure is for both closed headset and open air listening. There are many different types of headphones, including those with bone transducers/conductors, which increase the amount of vibration coming into the middle and inner ear thereby increasing the number of messages going to different areas of the brain. The benefits of listening occur regardless of whether or not bone conduction headphones are used, however it is more impactful and results can be quicker. Our Soundscapes are purposefully recorded at lower decibel levels for safety reasons. If you are not using an amplified headset as in number 3 below, you may need to experiment with the volume and or equalizer presets on your MP3 player to get the best sound for your specific headphones. IMPORTANT: Always make sure to place your player in REPEAT MODE so that no other unintended tracks on your device get played by accident directly after a listening session. These headphones are comfortable, but they are top heavy so a sports headband may need to be used to keep the headset in place. These operate using a blue tooth allowing for easier movement during listening. They are lightweight and loop around the ears with bone conduction through the upper jaw and temporal region. The back of the headset tends to slip down, which can be bothersome, but you can use hair clips to keep it from moving around. These headphones are comfortable, but are top heavy and may require a sports headband to keep in place. The bone conduction occurs through a transducer sitting on the top of the skull. This system comes with an amplifier and a lot of wires so a belt sac or money belt is needed to house the parts during use. Listening is most effective done for 20 minutes twice per day for 5 consecutive days. For some, listening once a day is plenty, but results happen faster when there is more frequency. It is not beneficial to listen everyday. Taking regular breaks from the brain stimulation listening provides with the 5 days on 2 days off schedule promotes stimulation of the neurons (brain cells) and growth of the dendrites (branch like part of the cell) of the neurons helping build more pathways in the brain. Making these kinds of changes in the brain allows for more of the brain to be involved in every experience and better sensory processing. Before getting your child up in the morning have them lie in bed and listen for 20 minutes prior to getting up. This works well if your child has difficulty waking and getting ready for the day. If you have a long commute to daycare or school do it in the car. Children are often tired and dysregulated after school, so listening upon arrival home is a good time. One hour prior to bedtime will not only regulate the child enough to settle for bed, but will promote falling asleep faster and staying asleep. Whatever times of day you pick, try and be consistent. Listening consistently for at least a three-month period is recommended for best results. Listening to therapeutic sound can be part of a life long practice for optimal performance. 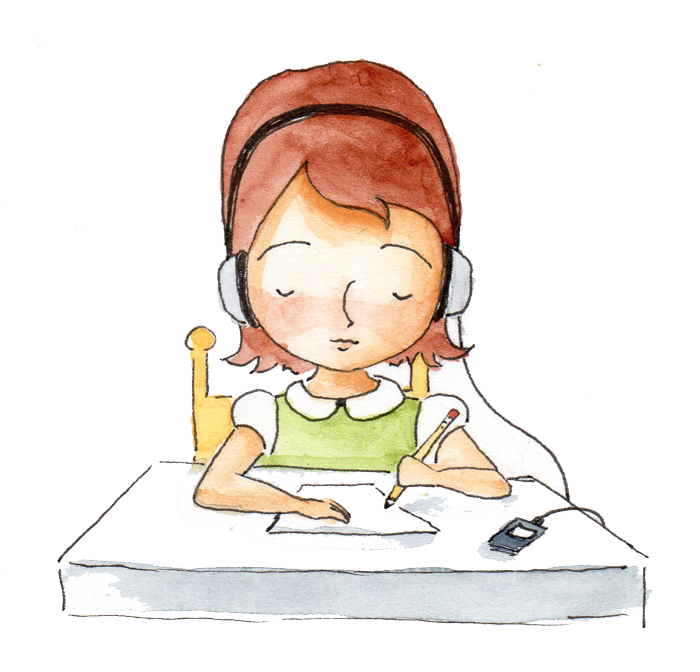 Adult listeners have observed an improvement in focus when listening and performing cognitive tasks. For instance listening while performing computer work projects. There are other choices available on the market. I have used most of them with children in my practice with varying results, mostly positive. The cost of the most beneficial of these listening programs is too high to be accessible to everyone. I wanted to bring therapeutic sound to more people and in a unique context (different Soundscapes), which is different than the other listening programs available. Different Soundscapes provide a choice based on what the user finds pleasurable. This choice increases the willingness to listen and to become active listeners. The Soundscapes are novel enough that the listener is attending to and looking for sublte differences in sound. Novelty makes for more positive changes in brain function.